• Apple Remote with iPod and iPhone: If you connect your device to the Universal Dock or a compatible home stereo, powered speakers, or TV set with an IR port, the remote lets you experience your songs, slideshows and more from across the room. • Apple Remote with Mac: Control audio volume, play, pause, and control music and videos, or even put your Mac to sleep from anywhere in the room. • The Apple Remote gives you total command of your Mac's music, photos, videos and DVDs via FrontRow?a menu-based, full-screen interface?to make accessing the digital content on your Mac simple. 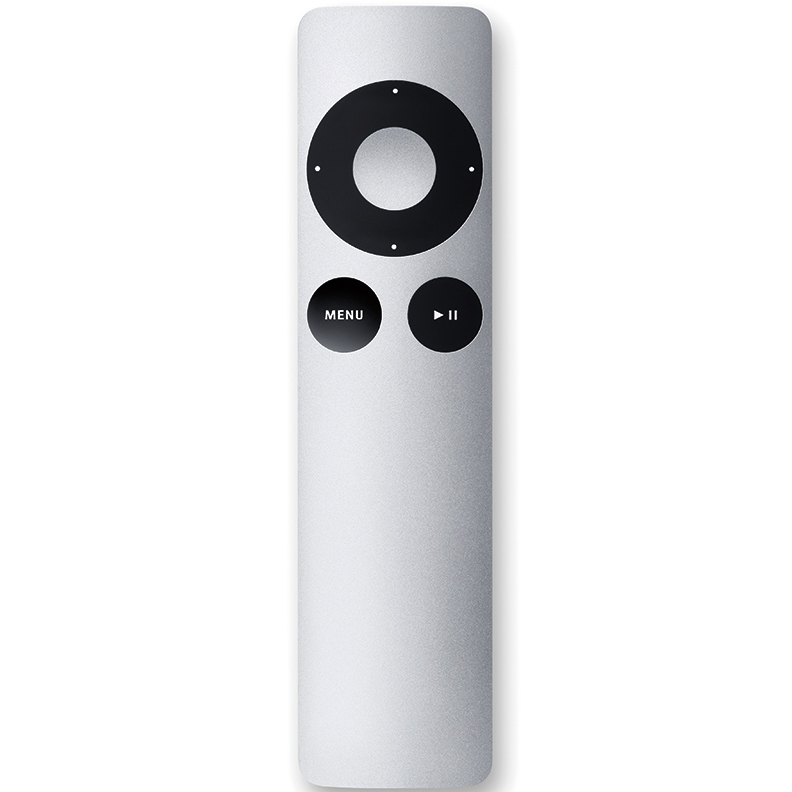 • Mac compatibility: The Apple Remote requires a Mac with an IR port (most Macs made after 2005). FrontRow control does not work with Mac OS X Lion or later.